Here we have the fist regiment of 2015, a generic Royalist unit which will be used as Trevanyon's at Lansdown. Not the best musketeer sculpt out there, but the only firing pose A Call to Arms do. The second rank were given brimmed hats to replace the silly sock like affairs the original figure had. I can vouch from experience that a broad brimmed titfer is considerably more use in all weathers than a knitted monmouth cap. A motley bunch of metal command figures. I really like to officer figure which I picked up on ebay, he is quite simplistic and I wonder if he were a homemade bod. The colour is based on that of Talbot's regiment, I was quite pleased with the freehand hound I managed. 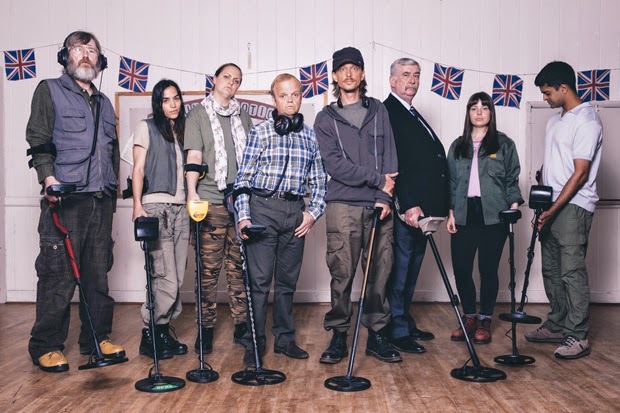 I don't tend to rant or rave too much about telly programmes as I hardly ever see any, but a work friend lent me Detectorists on dvd last week which is possibly the funniest and best thing I have seen on the screen for years. If you haven't seen it rush out and buy a copy, you will recognise members of your local wargames club among the ranks of the Danebury Metal Detecting Club not to mention the venue (complete with squeaky door). I can't really do the programme justice other than heartily recommend it and mention it's worth a couple of re-watches to pick up all the gags, visual and verbal. 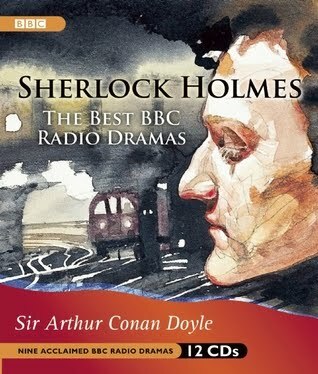 Wonderful filming and cracking casting and acting, it captures a slice of England beautifully. Watching Detectorists this week meant I didn't get a lot of painting done, and yesterday we all went out to visit some friends son their boat. Living close the Kennet and Avon Canal we are lucky enough to have a number of chums who live on boats and we all piled onto one yesterday, initially just for a coffee, which turned into lunch and then a little cruise as far as Dundas to refill the water tank. Last years harvest is consumed. Ploughing on with the Battle of Lansdown figures, this regiment was finished at the end of last year and I am cracking ahead with more foot soldiers. The regiment possibly had white coats. The colour depicts what are believed to be hawk lures. The command group are various metal 54mm bods collected from ebay. Later on we went for a walk by the town of Wotton-under-Edge on part of the Cotswold Way. This copse of trees is called Waterloo plantation, and was originally planted to commemorate the battle, and has been replanted over the last 200 years. I always like a stand of Scots pines, and these are surrounded by a wall which makes them quite mysterious in an M R Jamesian type of way. It wasn't raining but very windy, but fortunately we had brought bacon butties and cocoa. I managed to pick this chap up on ebay. He is a bit smaller than other 54mm cavalry figures so I needed to make the base a bit thicker. Now the Duke can pass orders on clearly. 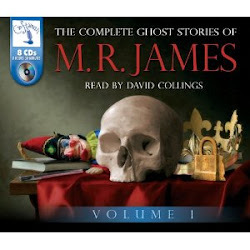 I must get one of his famous running footmen.